Actualizado el 7 de febrero, 2019 - 16.17hs. 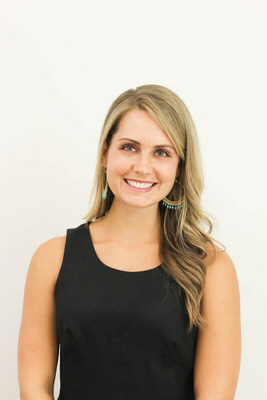 HOUSTON, Feb. 7, 2019 /PRNewswire/ -- Landdox, the top Cloud-based land software provider, has announced the appointment of Alli Irwin as the company's Head of Client Impact. In this newly created role, Irwin will be responsible for client success management and professional services for Landdox's fast-growing customer base. Irwin joins Landdox from oil & gas data innovator Oseberg, where she spent six years building and leading the company's highly regarded client success management team. "Alli created the 'customer success' playbook for the digital oilfield," said James Yockey, co-founder of Landdox. "Having collaborated with hundreds of oil & gas companies, Alli knows that 'software as service' is as much about service—being there around the clock with creative, innovative, client-specific ways to maximize value—as it is about the product." "Hundreds of CEOs, land professionals, and BD execs have shared stories with me about the mounting costs and missed business opportunities directly attributable to their obsolete land systems," said Irwin. "Landdox is the Cloud-based asset management platform built in this era, for this era. I'm excited to partner with Bob and James to help Landdox rapidly become the new standard for land management." "With our new client impact team under Alli, we are looking forward to setting the new standard in the digital oilfield for ease of use, service delivery—and old-fashioned listening to where our clients want to go," said Landdox co-founder Bob Gates. Irwin is a graduate of the University of Oklahoma, where she earned a Bachelors degree with concentrations in Energy Management, Finance and Accounting. She will be based in Houston. Founded in 2015, Landdox builds great software and offers innovative services that empower today's land professional. The company's flagship SaaS product is a land system that combines data and document management, mapping and analytics in a customizable, easy-to-use Web app. E&Ps, non-op and mineral & royalty funds use Landdox to acquire, manage and market billions of dollars worth of leasehold and mineral rights. Landdox is headquartered in Dallas, Texas. Learn more at www.landdox.com.